When will be American Grit next episode air date? Is American Grit renewed or cancelled? Where to countdown American Grit air dates? Is American Grit worth watching? American Grit is an upcoming reality series that will premiere on Fox in 2016. Sixteen of the country's toughest men and women will be split into four teams as they work together to face a variety of military-grade and survival-themed challenges. Cena and an elite group of mentors from the nation's most exclusive military units will push these civilians beyond their limits. The mentors, known as "The Cadre", include Rorke Denver, Noah Galloway, Tawanda "Tee" Hanible and Nick "The Reaper" Irving. These real-life heroes, who represent diverse backgrounds and top branches of the U.S. Armed Forces, will impart their first-hand knowledge and experience to help the competitors work together as teams to surmount near impossible mental and physical challenges. American Grit embodies the military ethos "no man left behind," because only the first team to complete the challenges together is safe from elimination. 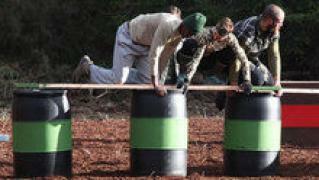 Each episode will culminate in "The Circus," a punishing, endurance-based obstacle course designed to break the weakest competitors. With up to a million dollars of prize money at stake, this is the ultimate test of strength, grit, the human spirit and most importantly, teamwork. 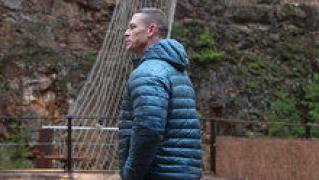 The series is produced by Leftfield Pictures.The series will star WWE Superstar John Cena. Fox have ordered 10 episodes. After an upsetting elimination challenge, it is decided that the contestants need some tough love; gossip raises tension back at camp. WWE® Superstar John Cena® delivers news to The Cadre that changes the game play and ups the stakes, especially with a double elimination on the horizon. With this in mind, one cadre confronts another about forming an alliance, leaving the other two upset. This week's challenge is all about aggression and for the first time, each team will have a chance to knock another team into elimination by directly competing against each other. Emotions run high before the elimination challenge and some feel betrayed, but only one will survive this week. After an upsetting elimination, WWE® Superstar John Cena® decides to spend quality time with the remaining contestants and reveals personal information about himself. During the challenge, contestants are surprised when they discover that they must remember everything John told them in order to win. With a double elimination ahead, the competition is at an all-time high and the final four are revealed. Then, after one contestant is faced with having to decide who leaves the competition, the final three enter the ultimate challenge. While all might have found their grit, only one can walk away with a quarter of a million dollars and be the winner. American Grit next episode air date provides TVMaze for you. 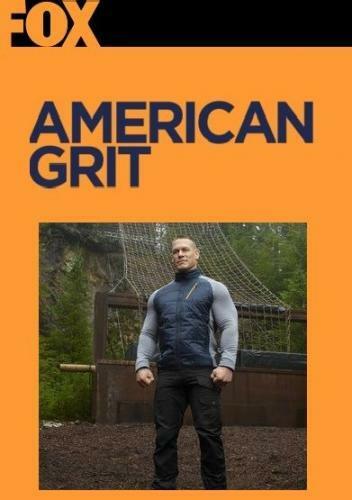 EpisoDate.com is your TV show guide to Countdown American Grit Episode Air Dates and to stay in touch with American Grit next episode Air Date and your others favorite TV Shows. Add the shows you like to a "Watchlist" and let the site take it from there.